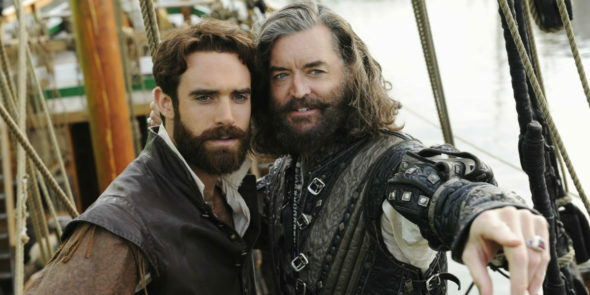 What’s next for Galavant? Recently, some of the cast and creators spoke with Entertainment Weekly about the future of the cancelled ABC series. As we reported earlier, ABC cancelled the musical comedy after two seasons. Since, fans have launched the campaign #MoreGalavant to save the series on another network, and the show responded with a “Thank You” dance video that features the cast and the series’ celebrity fans. I think it would be great to have Josh involved, but if we had to eliminate or change his character we have our ways we’ve talked about. It’s a magical world where anything can happen. I know we’ve talked about that Galavant is the concept of the show, not really a person. It’s a send up of Game of Thrones. What do you think? Are you a fan of Galavant? Do you want the show to continue? Rename it “The Tad Cooper Chronicles” and follow King Richard vs the D’Dew. I’d watch that.